I haven't worked on my millefiore quilt for a week now:( Just too many other obligations and projects to finish up. I'm learning that I'm not very fast at sewing by hand - maybe that's why I hate sewing binding on quilts. A week ago, I got to spend two whole days working on it at a last minute family sewing retreat. I have only four hexies sewn onto my rosette to show for all those hours! Yes, I'm sloooooow as molasses! Somewhere on day 2, I contemplated making my millefiore quilt a one-rosette table topper, but I pushed those thoughts to the back of my head - I'm determined not to let this become another UFO! So I'm posting my progress so far so that you all can keep me on task. On the up side, I am loving my colors so far. I love how perfectly the pieces fit together and how perfectly the points match.﻿ And, best of all, I got to go shopping for more fabric for the next rosette! 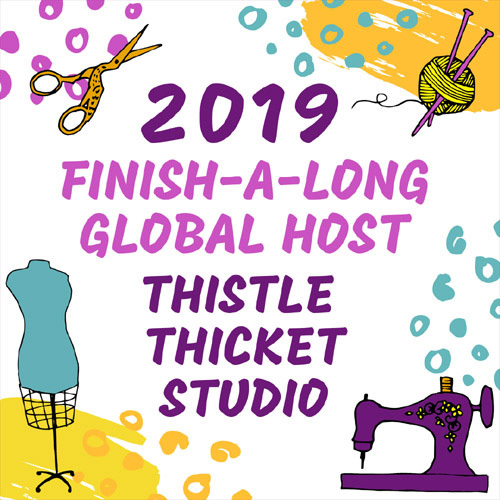 My paper pieces for the next rosette arrived last week and the next rosette pattern will be posted February 1, so I've got to kick it in high gear and finish this one up. 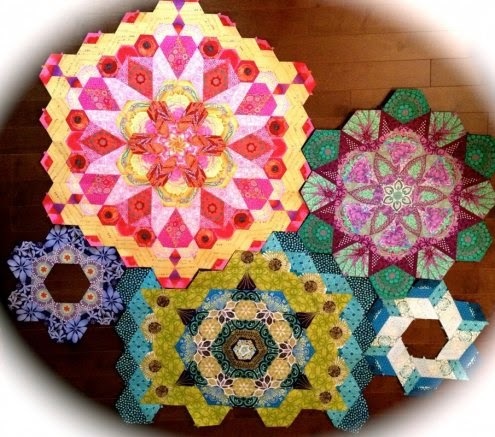 As they say, no rest for the wicked - and, I'm thinking, for those crazy enough to tackle this millefiore quilt! 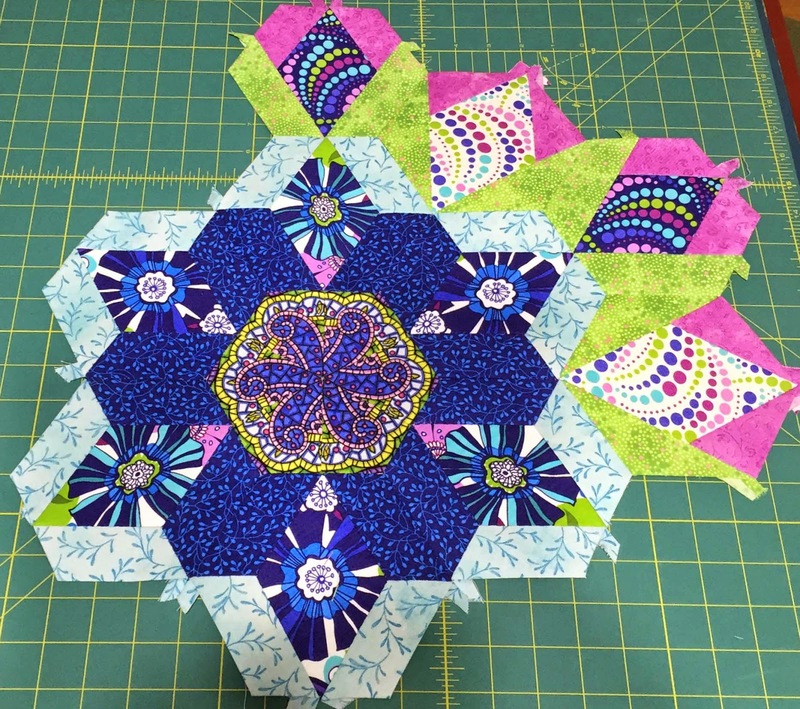 Several months ago I posted about using four-patch kaleidoscope or stack-n-whack blocks in quilt patterns that feature large blocks. Well, I can finally show you my finished quilt! I'm sew excited to put this quilt on the bed in my 5th wheel camper and cuddle up in it. Now to finish the matching curtains and pillowcases so I can get back to my millefiori quilt....I'm off to do a little sewing! New Year Resolution - Busted! Well, I knew it would happen, it was really a matter of time. But only 3 days?! 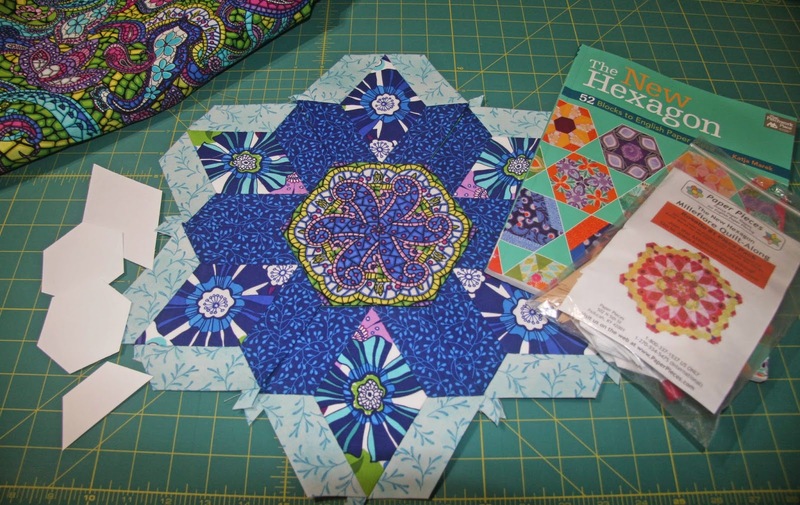 Yes, on day 3 of my New Year resolution to finish up some of my UFOs in my cubbies before buying any new fabric or projects, I ran across The New Hexagon - Millefiore Quilt Along at Katja's Quilt Shoppe. I fell in love with this style of quilt after I saw this quilt called the La Passacaglia quilt. This quilt was made by Ashley Spilman. Love the colors! 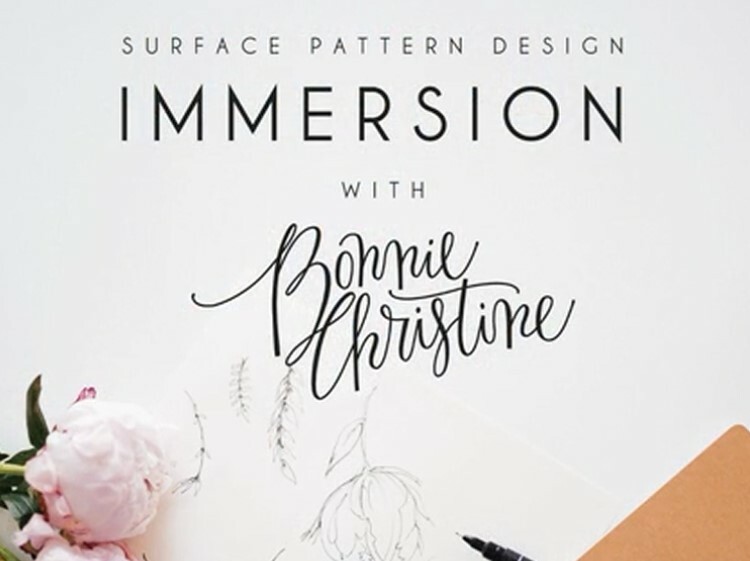 So of course, I signed up and ordered the book and the English paper piecing supplies. Why? I don't even like to hand sew my binding on my quilts, why would I sign up to do a whole quilt that is hand sewn?! 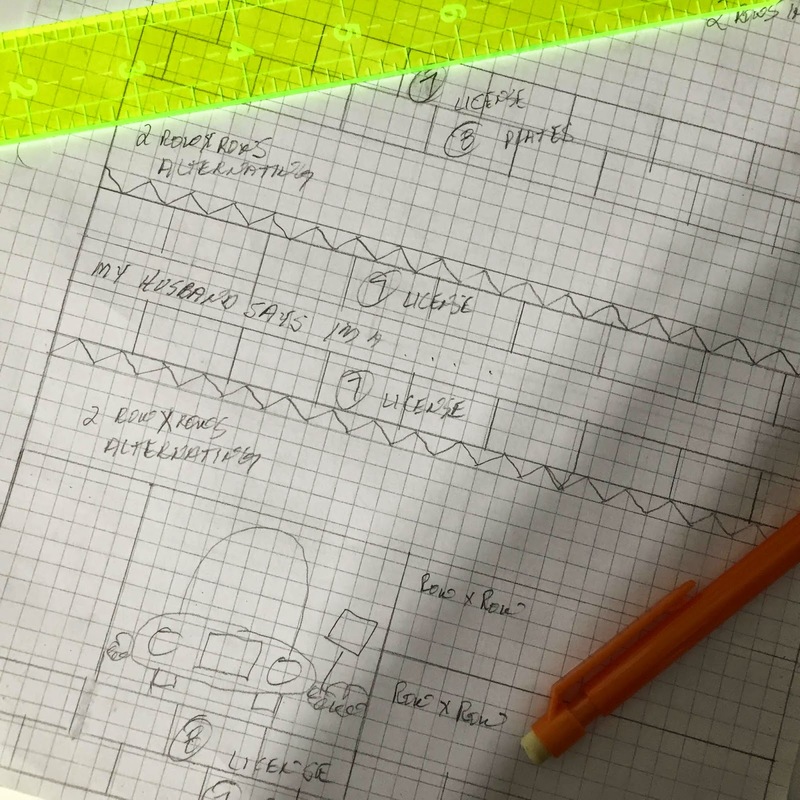 Well, my justification was that I would use one of the fabrics I had purchased for a One Block Wonder quilt that's stuffed in those cubbies for this new project. So technically, I'm still working on my New Year resolution, right? So after 3 days, I have the center and first round of hexies done on the first rosette. 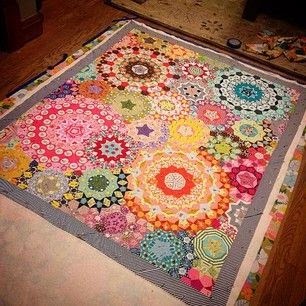 There's a total of 37 hexies, 216 pieces in the first rosette and it measures a whopping 35" across. The finished quilt has 15 rosettes of different sizes, a total of 246 6" hexies, and measures 78" x 78". I'm hoping you all keep me on task so this project doesn't become destined for those cubbies as another UFO! Can I count on you? 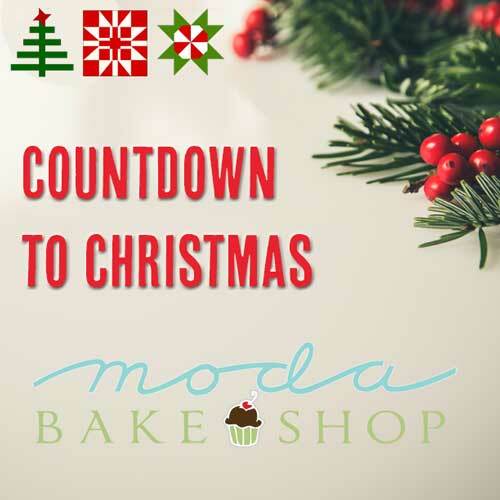 I'll keep you updated on my progress here, so come back and visit often! 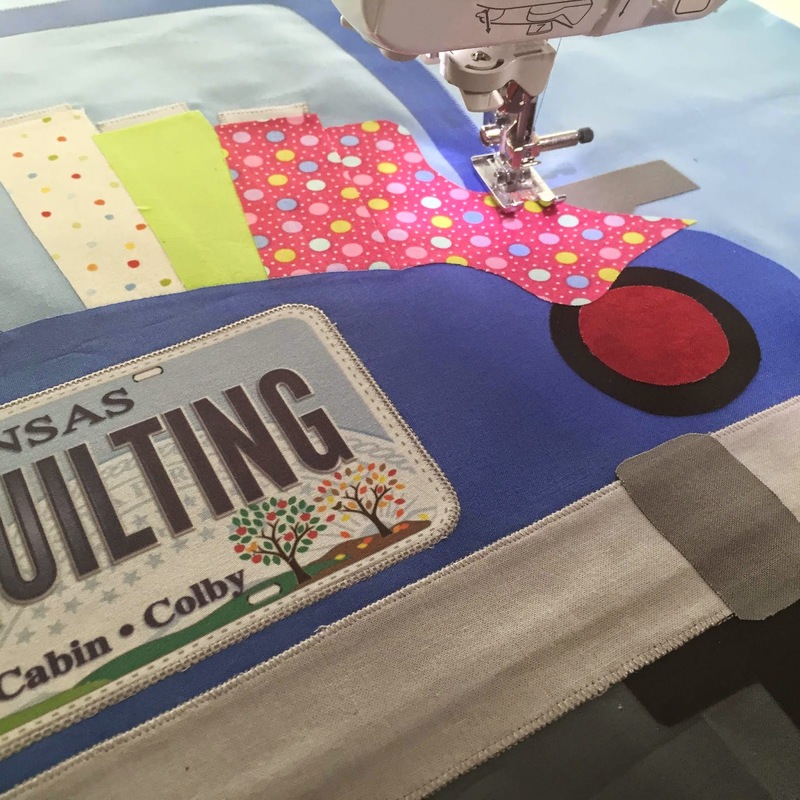 When doing the Row by Row Experience shop hop last summer, I knew I was not going to be able to work on this quilt until well after the contest, so I stuck my patterns, license plates and fabric collected into one of the cubbies in my sewing room. Since those cubbies are the focus of my New Year's resolution (see previous blog post), I pulled it out this week to start on it. Technically, it is a UFO because I started to embroider a row that would use three of the license plates I collected. 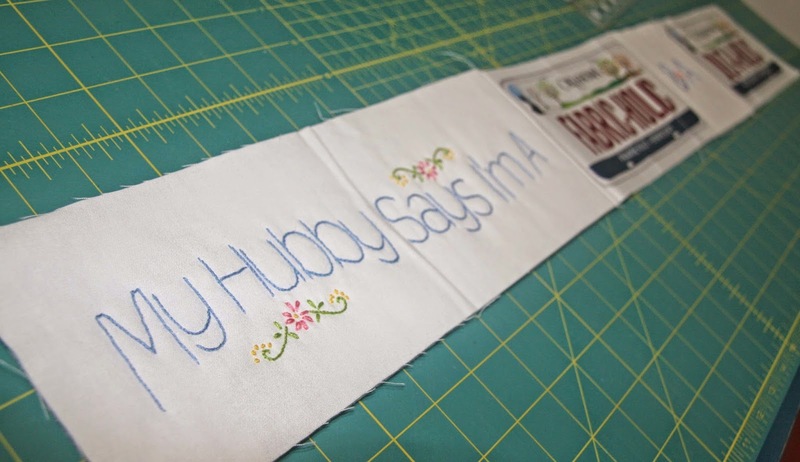 When I found license plates that said 'fabric-holic' and 'quilt-a-holic' I knew I had to make them into a row by themselves since my husband has accused me of being a little OCD about quilting, lol. 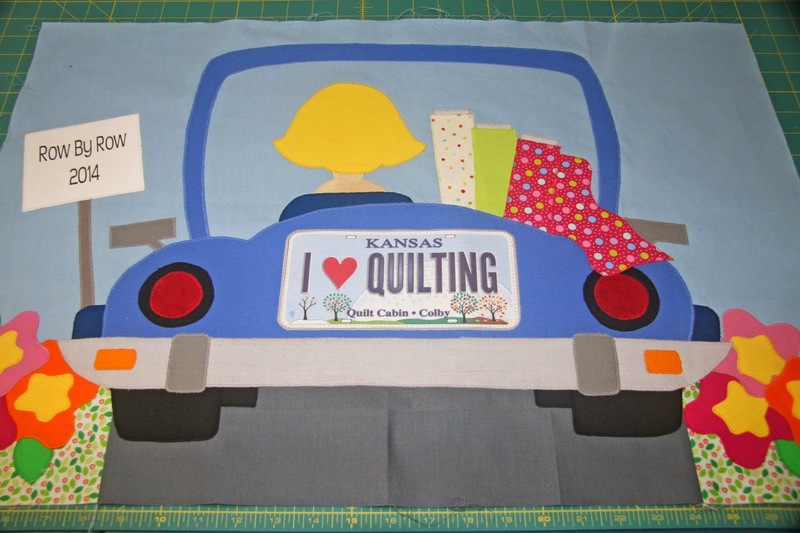 The 'fabricologist' license plate will complete the trifecta and the row will eventually say "My Hubby Says I'm A Fabric-holic & A Quilt-a-holic, But I'm Really A Fabricologist". 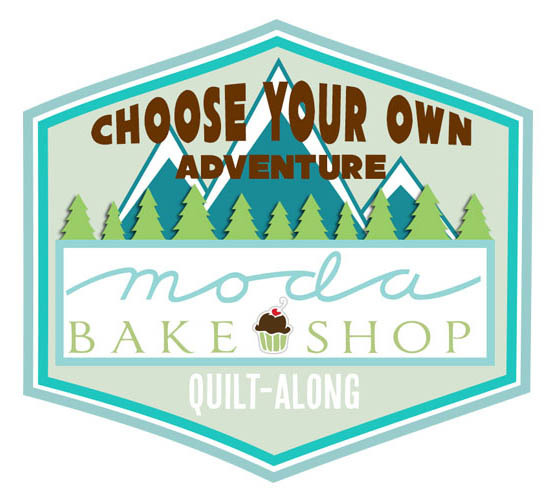 Last summer, I also began drawing out a large applique pattern that I wanted to include in my Row by Row quilt that would commemorate the road trips I took with the hubby and quilting friends to participate in the shop hop. 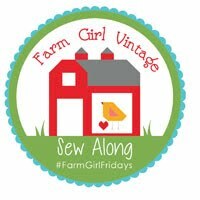 So this week, I started with the applique as I began designing the layout of my quilt. 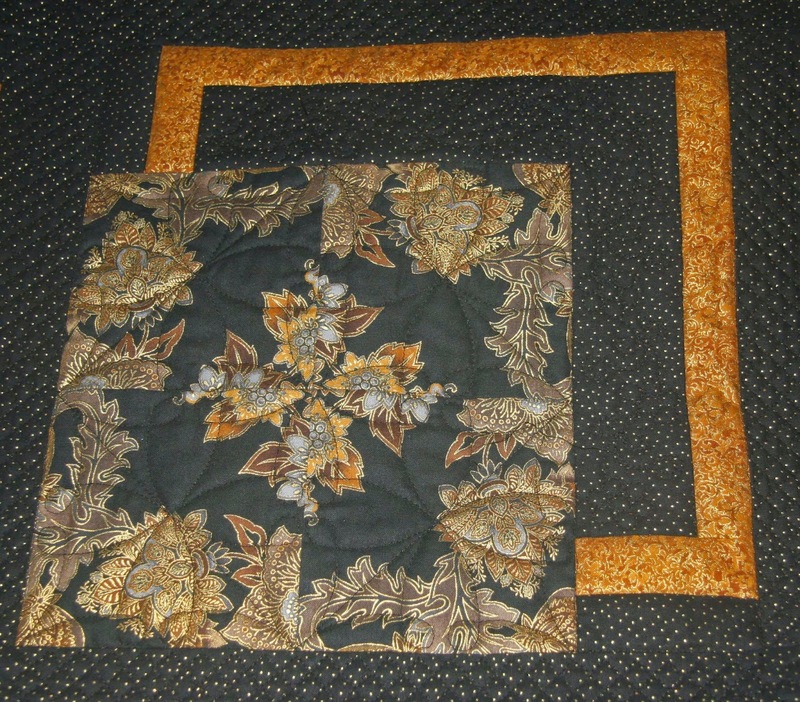 My quilt will feature a flower theme, so will be using only patterns I collected that have flowers in them. 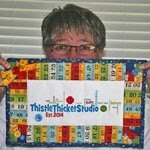 I will be combining two sets of patterns in a row to create a 72" wide quilt. 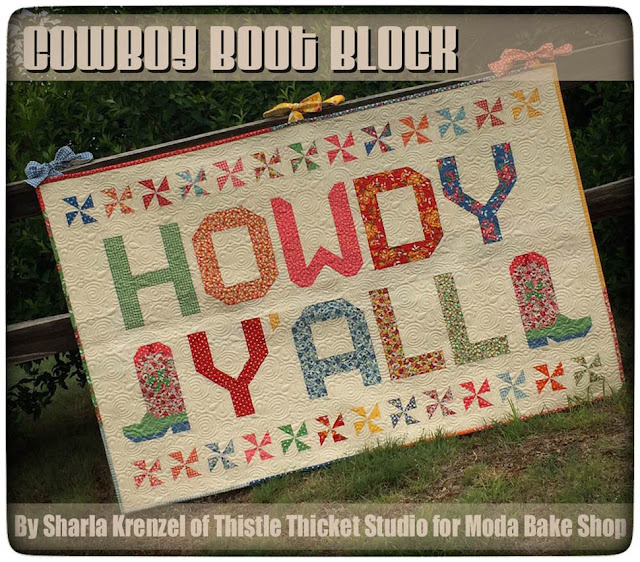 There will also be rows of license plates throughout the quilt. I haven't decided on borders yet, that'll come later.